I don’t make political predictions any longer. Instead, I tend to qualify my observations by suggesting that “I won’t be surprised if . . . “ something happens. So, here goes. I will not be surprised in the least if the next presidential campaign features a social media brawl the likes of which we’ve never seen. 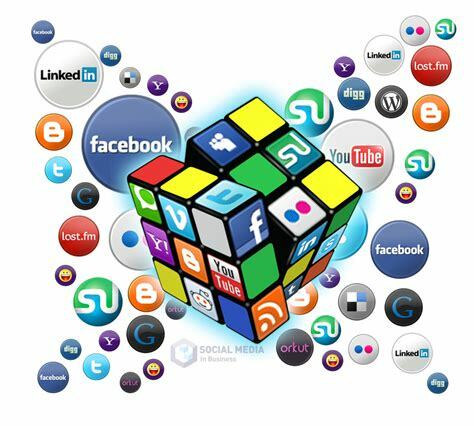 I get that social media are a relatively new phenomenon in today’s political world. However, it stands to reason to conclude that the president of the United States, Donald John Trump, will unleash a social media torrent against all the foes who will be running against him. The irony of such a thing happening is ironic in the extreme. Here’s why: First lady Melania Trump has declared her mission is to eliminate cyberbullying. I like the cause. It’s noble. It’s worth fighting. She needs to start with her husband. Donald Trump is the “Cyber Bully in Chief.” He’s proud of his Twitter prowess, despite his mangled syntax and his overuse of capital letters. He uses Twitter as a weapon. Yes, he has “weaponized” social media to the extent that he can use Twitter to hurl insults and innuendo, to threaten and coerce his foes. I know the first lady’s major beneficiaries are intended to be children who are victimized by bullies. Still, her husband’s (mis)use of Twitter needs attention, too. I expect the president to use Twitter to disparage his opponents at every level possible. He will use it with cruelty. Trump will be savage. He won’t back down. Trump never will apologize. Why should he? His base will cheer him on! That’s all he cares to know. Will it please the base? Get ready for the bloodiest political fight we’ve ever seen. Donald Trump is setting some sort of unofficial record for lying, prevarication, misstatements muttered, uttered and sputtered from the White House. One of his more recent, um, lies takes the cake. 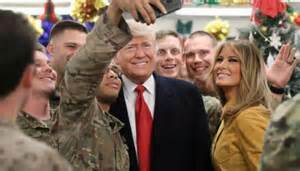 The commander in chief stood before troops in Iraq the day after Christmas. He went to the war zone with his wife, Melania, and told the men and women assembled before him that they had just gotten the first pay raise in 10 years. Lie! Then he said he fought for a 10-percent pay increase, even though others wanted to grant them a considerably smaller pay raise. Lie! Our fighting personnel have gotten raises every year for more than three decades. As for the 10-percent raise this year, it didn’t happen. Their raise is considerably smaller than what the president described to them. Here is what troubles me greatly: Donald Trump’s incessant barrage of falsehoods seems pointless, needless, foundationless. It is gratuitous. He lies when he doesn’t need to lie. The Washington Post has been keeping track of the president’s lying/prevarication/misspeaking. The newspaper’s total now is past 7,500 such statements — and this is before the end of the first half of the president’s term! His lying is accelerating as well! I should be more circumspect in calling these statements outright “lies.” To lie is to say something knowing it is false. Some critics have suggested that Trump simply doesn’t know what he’s talking about; therefore, he doesn’t necessarily purposely lie to our faces. However, Donald Trump has told us repeatedly that he possesses a level of intelligence that few men have ever had. He knows the “best words.” He went to the “best schools.” He got the “best education.” He surrounds himself with the “best people.” Doesn’t all of that suggest to you — as it does to me — that the president should know of which he speaks when he opens his mouth? The president is a liar. Now he’s gone before the men and women he purports to “love” and revere — our warriors in harm’s way — and lied to their faces! We’re acting as ‘suckers,’ Mr. President? Let me see if I can connect these dots. Donald and Melania Trump jetted off early Wednesday to Iraq to visit with some of our troops there. It was the first visit by the president to a war zone since he took office in January 2017. Good show, Mr. President; I’m glad you went. He declared that the United States was done being played as “suckers.” The president said this country wouldn’t be “suckered” any longer into defending other nations’ self-interest. That was a bit of a head-scratcher for me. I cannot help but wonder what the troops in Iraq thought when they heard the commander in chief describe their hazardous duty as acting on behalf of a nation that had been “suckered” into sending men and women into harm’s way. Doesn’t that sound as though he is cheapening their work, that he is demeaning the danger they face? I couldn’t help but think of how I might have felt in 1969 if President Nixon had come to Da Nang, South Vietnam, and told us that we had been duped into fighting a useless war. I cannot transport myself back to that time, but my gut tells me I well might have taken serious offense at such comments. As for the current president, my belief is that the real “suckers” are those who believed they were getting a serious commander in chief when they voted for this guy in the first place. It took longer than it should have taken, but it occurred quietly early today. Donald and Melania Trump flew to Iraq to visit U.S. troops and to offer them the nation’s support as they stand in harm’s way defending our interests in one of the world’s most troubled regions. I won’t second-guess anyone here. The president and first lady did what first couples — especially the president — are charged to do. They are supposed to speak on behalf of the nation to the men and women who stand on the front lines in the fight against our enemies. I am glad the president and first lady visited Al Assad Air Base, west of Baghdad. Security apparently was an issue as Air Force One landed. The first couple took selfies with the troops, chatted them up and likely expressed their support for them. The president should have gone before now. However, he went and perhaps learned a thing or two from the men and women he visited about some of the difficulties they face being stationed so far from home and away from their loved ones. The presidency can be a learning experience, even if it isn’t supposed to provide on-the-job training for the president. I would hope the president learned something today, except that he routinely seems to suggest that knows all there is to know about everything. Still, I’m glad he and the first lady made the journey. Now, Mr. President, please look for a way to end this ridiculous government shutdown. Fox media analyst needs a reality check . . . seriously! 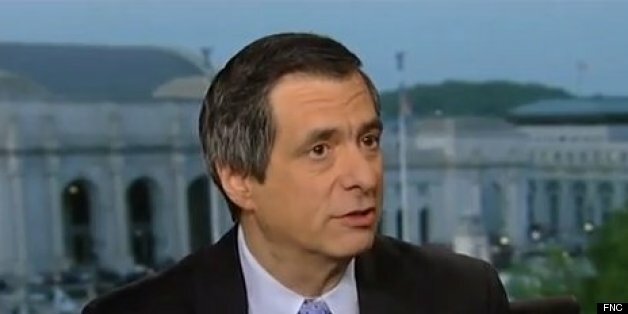 I get that Howard Kurtz, who once worked for the Washington Post, now is a media analyst for a pro-Donald Trump cable news outlet, the Fox News Channel. Thus, he is inclined to speak more kindly of the president and those close to him than others who tend to look more critically at the Trump Era. But, c’mon, Howard! Get a grip! Kurtz cannot be serious. Can he? I guess he can — in his own mind. Let me offer a couple of examples that I submit would contradict his view of Melania Trump’s media treatment: Michelle Obama and Hillary Rodham Clinton. I’ll stipulate that first ladies as a rule deserve some cushion from the pounding that the media deliver to their husbands. To that extent, Melania Trump is no different from any of her predecessors. However, do I really need to remind Kurtz of the hideous racially tinged, defamatory insults that those on the right hurled at Michelle Obama during her eight years as first lady? And, yes, the media reported it. I do not want to restate some of the monstrous epithets she endured. You know what they are. Michelle Obama damn sure does. As for Hillary Clinton, has Kurtz forgotten how the media reported on the far right’s accusations that Hillary and Bill Clinton were actually living as husband and wife, or that the two of them actually ordered the murder of their political opponents in the years prior to President Clinton’s election in 1992? Have the media gone that far in their treatment of Melania Trump? I do not believe that is the case. Thus, Howard Kurtz needs to re-calibrate his media-analyst antennae. Dial it back, Howie, on your criticism of the media as it relates to Donald and Melania Trump. 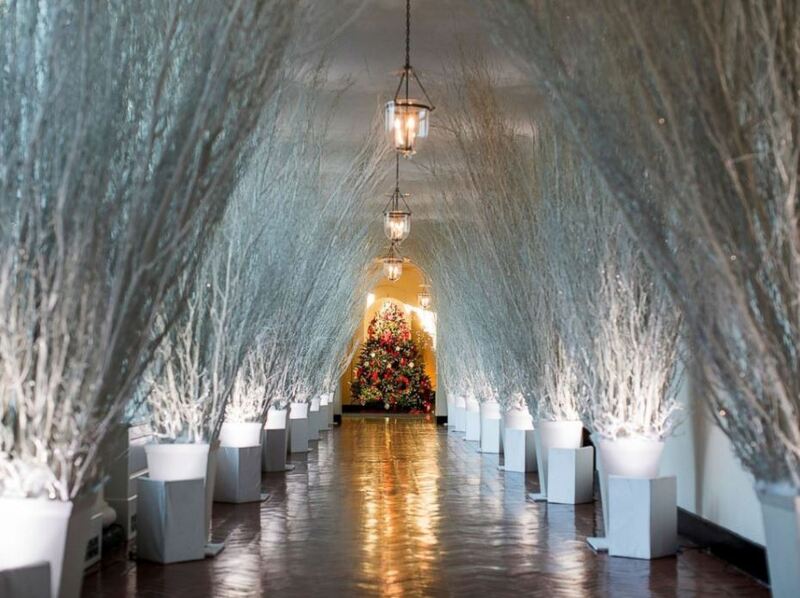 I stood with first lady Melania Trump’s Christmas décor she used to deck out the White House in 2017. This year, I have to say all those red Christmas trees don’t do it for me. She told a Liberty University audience that the trees “look fantastic,” in her view. Well, that’s her belief. She’s entitled to it. But we’re also entitled to gripe about it. I mean, the first family is merely a tenant in the People’s House. They’ll be there temporarily. Then they’ll move out eventually. We keep the White House in our possession. That gives us all the justification we need to raise a ruckus when we feel like it. I don’t think I’ll change my mind on this matters, the way I did with the Amarillo Sod Poodles name for the city’s new Class AA baseball team that begins Texas League play next spring. Nope. The silver décor was pretty cool. 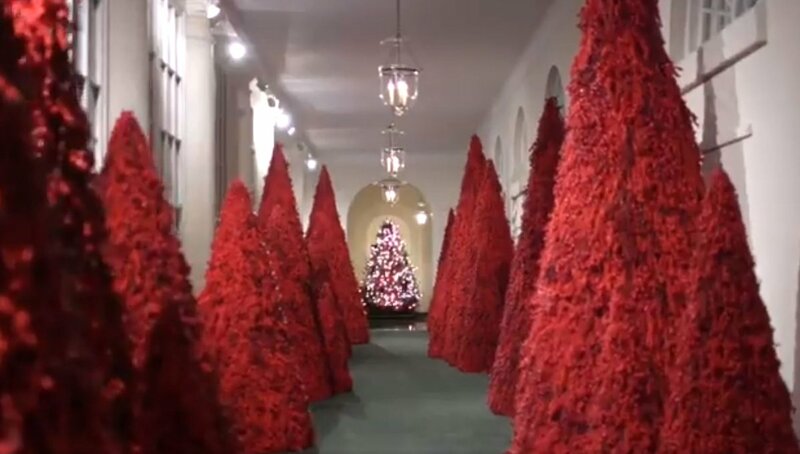 The red trees? Not good. Nice try, Mme. First Lady. Donald and Melania Trump are going to stand alone. They will become the first-ever consecutive-year no-shows at the Kennedy Center Honors ceremony that recognizes the cultural contributions of noted artists. The first couple stayed away a year ago after it was revealed that some of the 2017 honorees wouldn’t attend if the Trumps were present. They oppose the president’s policies deeply. This year? It appears to be the same issue that has arisen. One of the honorees, Cher, is a vocal critic of the president. This kerfuffle is yet another example of the intensity of the polarization that the president brings even to ceremonial events that usually involve the leader of the nation. The Trumps now become the first ever two-years-in-a-row absentees in the 41-year history of the event. The Trumps issued a statement that said they would stay away to “allow the honorees to celebrate without any political distraction.” That’s a euphemism for the blunt truth, which is that the level of criticism of Trump by many in the entertainment industry would drown out any celebration offered at the Kennedy Center for the Performing Arts. This is a rather troubling development, if you want my view on it. I wish it were different. I wish the president and first lady could feel comfortable attending this event. It’s not to be. What’s more, my sense is that the Trumps won’t attend any of them for as long as they live in the White House. Nice going, Mme. First Lady. You have a perfectly noble and legitimate cause upon which to base your first ladyhood and then you trample all over it with a weird assertion about how you are among the “most bullied” people on Earth. I could not believe my eyes and ears when I heard about this from Melania Trump. She told ABC News the following, according to CNN: “I could say I’m the most bullied person on the world,” Trump told ABC News in an interview during her first solo trip to Africa last week … . You’re really the most bullied person in the world?” asked ABC News’ Tom Llamas during the exchange. “One of them, if you really see what people saying about me,” Trump said. She isn’t among the most bullied people on Earth. I feel confident in making that counter claim. Mrs. Trump married a man who would become president no doubt knowing full well what she was getting in the bargain. Indeed, Donald J. Trump has dished out all sorts of bullying insults on his way to the presidency and, of course, since he became the Bully-er in Chief. The message that Mrs. Trump wants to send forth is designed to call attention to how social media have become a bullying instrument used against children. That is a noble cause and I applaud that effort. 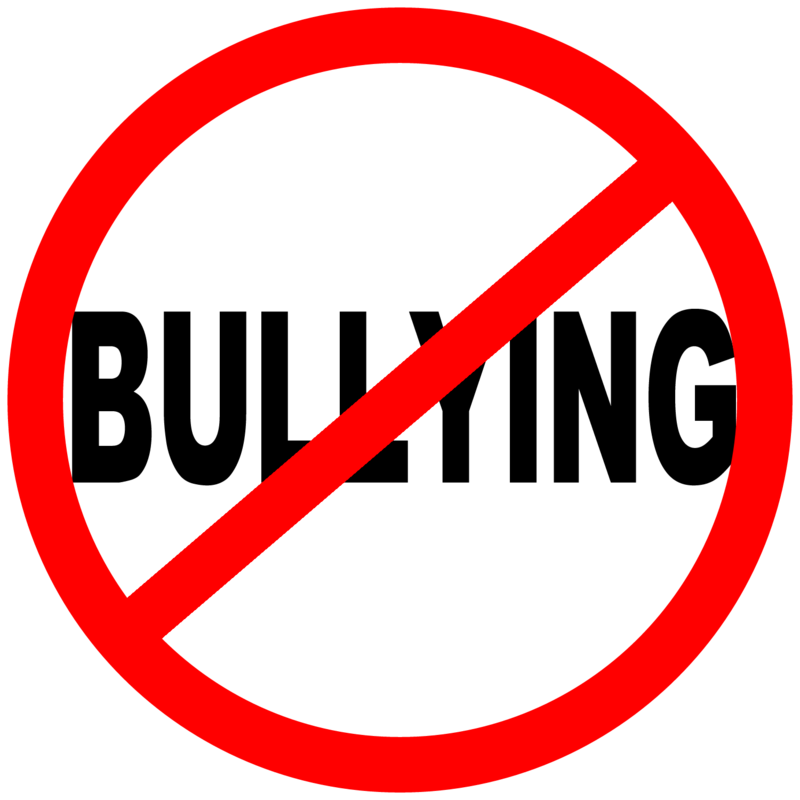 However, for her then to internalize and personalize it in this manner by suggesting that she is among the world’s top victims of this (mis)behavior detracts from the seriousness of a totally serious cause. I am amazed she would say such a thing. Mrs. Trump has just concluded a brief solo jaunt to Africa, where she visited four countries while highlighting her concern for children and women’s rights and well-being. But then she got photographed wearing a pith helmet, the kind of headgear popular during the era of colonization of Africa. Twitter trolls were all over it, criticizing the first lady for her poor choice of hats. Her response sought to remind her critics that she is trying to do noble work on behalf of children and women. That should be their focus, not the style of hats she wears, which critics said are too much of a reminder of the oppression brought to Africa during the years of European empire-building. That brings me to an element that fills me with mixed feelings. The first lady’s staff ought to be dialed in, focused like lasers on the image she portrays whenever she is seen in public. I am wondering why Mrs. Trump’s staff couldn’t foresee this kind of blow back. She wore that jacket that caught people’s attention. It said, “I really don’t care, do u?” while she was touring immigration camps along the U.S.-Mexico border. Then, of course, we have the first lady’s signature issue: bullying of children, including that which occurs via the Internet. That is a noble cause to promote, but the first lady seems blind and deaf to the bullying that occurs via Twitter — from her husband, the president of the United States of America. So, the pith helmet outcry seems on the surface to be overblown. Critics ought to concentrate on the first lady’s deeds, not her attire. Then again, let’s take greater care, Mme. First Lady, to avoid these kinds of pitfalls. 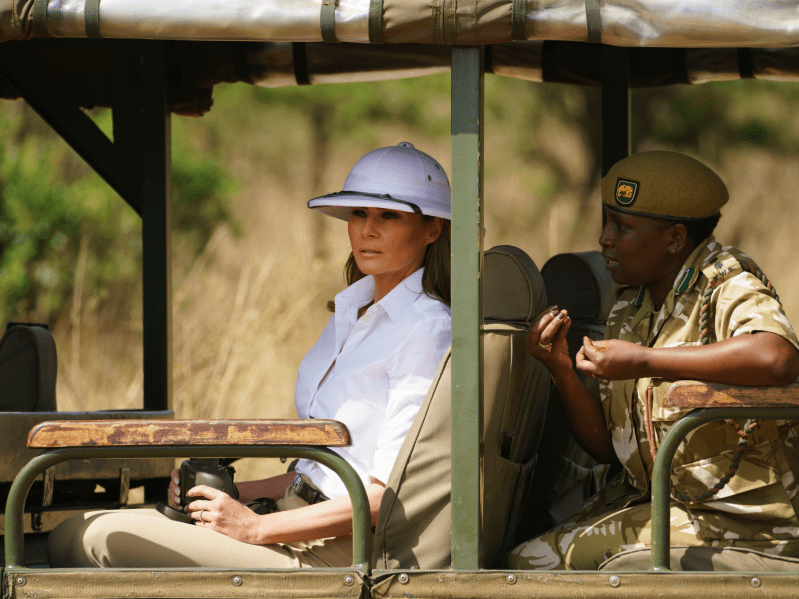 First lady Melania Trump is on a mission in Africa. Her aim is to spread her mission to help children and to protect them from various forms of exploitation. She also can perform a public relations clean up of a mess made by her husband, Donald Trump, the president of the United States. You see, the president is still trying to live down a quote attributed to him in which he referred to African nations as “sh**hole countries.” I don’t recall him making any distinction among the nations on the continent, just that all the nations on the continent were sending unwelcome immigrants to our shores. Well, the first lady now is embarked on a mission to promote her signature issue: child protection. Africa is a good place to take that message. You’ll recall the terror group Boko Haram, based in Nigeria. Boko Haram kidnapped hundreds of young women, many of them children. They released some of them, but reportedly are holding others in some hiding place. No doubt they are being terrorized and intimidated by their captors. What the first lady can do to help these young victims remains unclear, but she does occupy an important bully pulpit. I sincerely hope she uses it to speak truth to the need to care for young people around the world. As a guest column in the Dallas Morning News notes, Africa has the world’s largest concentration of people younger than 18. Many of them are in desperate straits. They need a powerful ally to speak to their needs. Melania Trump can offer that voice on their behalf. Read the column by Natalie Gonella-Platts here. Moreover, she can bring worldwide attention once again to the terrorists acts of Boko Haram and demand once more: release those young women and girls and return them to their families.